'Profitability, Client Satisfaction and Compliance.' Article. In: Oil & Gas Innovation, January- February 2014. 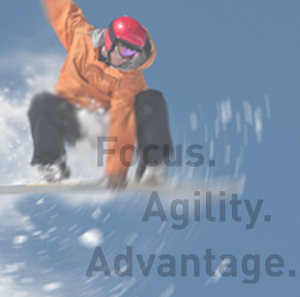 ‘Focus Agility Advantage.’ Advert. In: Oil & Gas Innovation, 2013 -2014. 'Towards a well oiled machine'. Article. In: Hydrocarbon engineering, December 2013. QINO implemented at ACT Jubail. Short news item. In: StocExpo Show Daily, 2012. ‘Brainum & QINO. A short introduction’. Presentation by Martin Keulemans, iTanks, Pitch ontbijt January 2014. ‘Increasing the throughput of your terminal’. Presentation by Martin Keulemans, Tank World Expo Dubai 2014. ‘Managing a liquid bulk terminal in 2011’. Presentation by Alessandro Runco (Falzon Group) and Martin Keulemans, Tank Storage Istanbul 2011. Brainum’s IT solution QINO. Flyer, 2014. Brainum and Logic Vision joined forces. Partner brochure, 2014.